In the warehouse environment, the ability to mount mobile devices and computers to forklifts, trucks, tuggers, and inventory pickers, is essential. From inventory management to order fulfillment, asset tracking, and shipping and receiving, the warehouse floor is complex ecosystem that requires high-efficiency technology to keep it running smoothly. 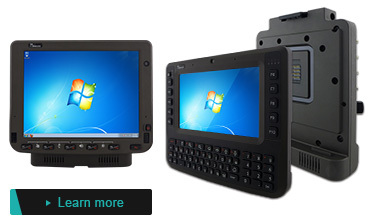 Winmate’s full line of rugged vehicle-mount computers, designed to fit seamlessly into forklifts and other warehouse vehicles, will help minimize errors, streamline ordering and inventory management, and improve operational efficiencies. 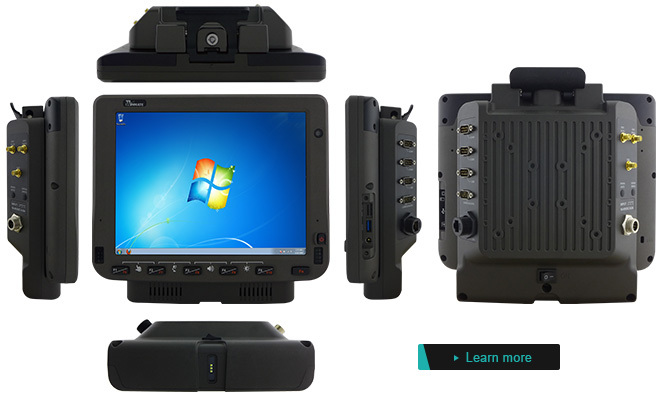 The FM10 – 10.4" Vehicle Mount computer operates on a 1.91GHz Intel Atom E3845 and the full Windows OS. 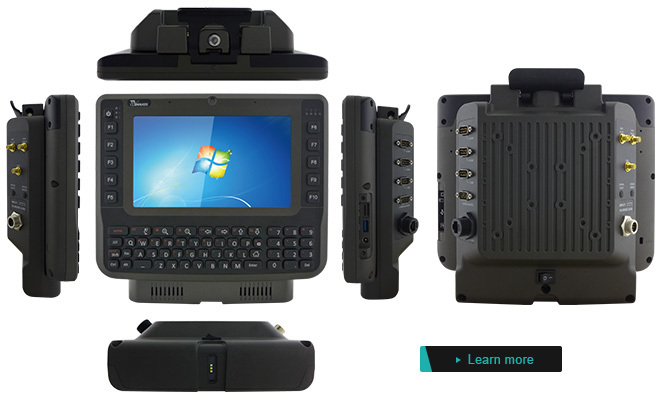 The device features a GFG resistive touch screen with 1024 x 768 pixel resolution. The FM10 is designed for applications that primarily rely on touch input on a large display, but also require access to readily accessible programmable function keys. The FM10 delivers flexibility and mobility in a vehicle-mount form factor, designed to easily be removed from the dock with a one-click top latch. Since the dock remains attached to the vehicle, this device can easily be moved or switched from one vehicle to another vehicle. The FM08 and FM10 share the same system and docking modules, only differing in screen size and keypad display. The FM08 allows flexible navigation via the GFG resistive touch screen, readily accessible programmable function keys, and separate QWERTY and numeric keypads.